Bought a Single Family home in 2019 for approximately $450K in Upland, CA. Rachel was amazing to work with. We could not be more happy with her level of professionalism as well as responsiveness. She always got back to us quickly and she also advised us on what she would do if it were her. Her tag line is "your realtor that cares" and she truly does care and it shows. I would highly recommend Rachel to anyone especially my family and friends. Showed home in 2019 in Westlake, Los Angeles, CA 90026. We had the best experience with the Harriman group. They are truly exceptional communication was a breeze Jack will personally show you excellent properties based on your selection and always answered the phone they're truly professionals thank you very much Jack Harriman. Sold a Condo home in 2019 for approximately $375K in Upland, CA. We decided to sell our house while living out of state. Rachel made it so easy to feel confident and comfortable with being so far away during this process! She came up with a game plan, kept us in the loop every step of the way and made sure we were 100% involved in the process. With being out of state we needed Rachel to handle everything as we couldn't be there, she did this with an absolute amazing attitude and a smile on her face the whole way! She even offered to help our current renters in finding a new home! We would recommend her to anyone needing to buy or sell their house! Bought a Single Family home in 2018 for approximately $625K in The Avenue, Ontario, CA. This company and its people are the most honest, understanding and amazing people to work with. Buying a house comes with its emotional stress and ups and downs, but Jack and his team have never failed to explain things to me clearly and that made me feel more at ease. They have made my experience as a first time home buyer so easy. So grateful for Jack and his team! Bought a Single Family home in 2018 for approximately $1.55M in The Avenue, Ontario, CA. Jack and his whole team is just the best in what they do. We are so lucky to have found them. They are professionals, prompt, patient and very efficient. We were able to close our second home in 2 weeks!!! Harriman group Realty, thank you thank you!! Bought a Single Family home in 2018 for approximately $675K in Eagle Rock, Los Angeles, CA. Rachel has gone above and beyond as my realtor and I'm extremely happy we went with her! This was our first house and she was also available to answer the many questions we had at any time of the day. She is very friendly and personable; it was a huge plus that we got along and were able to put our full trust in her. She is very professional and will do whatever it takes to help her clients get the house they want! I highly recommend Rachel and I wouldn't hesitate to have her as our realtor in the future! Bought a Single Family home in 2018 for approximately $525K in Rosemead, CA. Very attentive.... thank you for all the times you spend with us. She answers our question and concern in a timely manner. She willing to go out of her to make things happen. It’s been a great experience. Bought a Townhouse home in 2018 for approximately $475K in Azusa, CA. What can I say about Rachel....simple the best. Her professionalism & responsiveness is excellent. Thank you for not giving up on us. Thank you for your time. Thank you for our home & new beginning. I will definitely recommend your service to my family & friends. Once again....Thank you very much & Congrats for your hard work & job well done. Bought a Single Family home in 2018 for approximately $425K in Southeast Los Angeles, Los Angeles, CA. I cannot say enough good things about Rachel. I had worked with other realtors but when I met with Rachel I knew she was special. She cares about her work - it is more than just a paycheck to her. She get's reward out of helping people fulfill their dreams! We were first time homebuyers and thus, very emotionally vulnerable and naive to the entire process. Rachel was so patient, kind and kept fighting for us, even when we felt like giving up. Our first offer fell through due to financing, but she kept at it. She negotiated strong for us and we got a beautiful home that we are just so happy with. I would trust Rachel with my entire family and all of my friends. In fact, I consider her part of our family now. Thank you Rachel for everything! Sold a Single Family home in 2018 for approximately $525K in Covina, CA. I have had an above excellent experience with my Realtor Rachel Bratakos. She is very professional! She knows everything about the process and explains the process to her clients in a way that is understandable. One of her best qualities is that she is completely honest with you! She has a charm and she truly cares about her clients! I guess that is why she is the realator that cares! We sold our home above selling price and within a week! I recommend Rachel Bratakos in a heartbeat! She was a true joy! Sold a Single Family home in 2018 for approximately $525K in Chaffey, Rancho Cucamonga, CA. Rachel has a friendly and personable personality, and she is quick to answer any question. She is highly professional, attentive to detail, and very easy to work with. Rachel also has a great list of contacts for various services (cleaning, photographer, etc)... She went above and beyond to help us, and we are so thankful for all of her hard work. Bought a home in 2017 in Loma Linda, CA. She closed escrow for us last year and we were out of the country. Very responsible. Bought a Single Family home in 2017 for approximately $525K in Redlands, CA. Mel Macklin is an EXCELLENT realtor, a joy to work with and I highly recommend her. I started working with Mel while I was still living in Ohio. Through emails and phone calls Mel was able to assess my needs and line up properties to see for the week I was in town. We found my dream house and Mel expedited inspections and was able to set up and start Ecsrow before I left. Mel handled details for me and made the whole process go smoothly and efficiently. Mel really cares about her clients, she kept in contact with me and made sure all the paperwork was in order to keep things moving along to complete the sale. I've worked with several realtors but Mel is the best! Bought a Single Family home in 2018 for approximately $500K in North Hawthorne, Hawthorne, CA. Michelle is very professional and patient. I was searching house on and off through out the whole last year. Every time I contacted her, no matter how late it was, she always responded very fast. She has great work ethic. Finally I bought my house this month. I was super anxious during the closing process because I was afraid that I bought the peak in this ridiculously hot market. Even at one point, the last day of releasing the final contingency, I was asking Michelle to withdraw the offer. She was so nice and so patient and told me that not a problem. Then a week later, I regret it. Then I asked her to contact the seller again. Just as always, she was so nice and told me not a problem. Eventually, I bought this house and I liked it. I was lucky to have Michelle as my agent. Bought a Single Family home in 2018 for approximately $400K in Compton, CA. 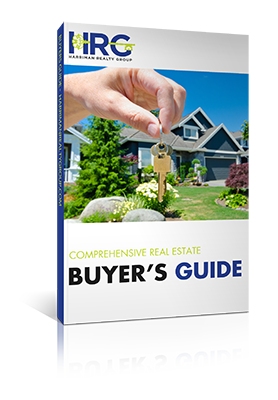 I’m a first time buyer who has done a lot of research before purchasing my first home. I worked with 2 realtor agents prior to working with Michelle. I have to say, she has been great to work with. I can see and appreciate how hard she worked to help me find a place to call home. I would call her, text her and email her with 100 questions everyday and she was so fast to reply to all of my questions. Even when she didn’t have the answer right away, she would let me know that she would get back to me. She also help me stay positive through the whole house hunting process and made sure she clearly explained each step during the purchasing process. I would recommend Michelle to any of my friends and family members in a heart beat! I was so lucky to have found her myself. Sold a Single Family home in 2015 in Azusa, CA. What a gem! Courteous, honest, hardworking has your best interests at all times. She was very prompt to all of my concerns and needs. You will not find a better agent out there. Bought a Single Family home in 2018 for approximately $450K in Montebello, CA. Mel Macklin is a Realtor that you can count on. She was available when ever we text, call, email her. She's not just a Realtor, she is a good designer too! Lots of interior design ideas. Harriman Realty Group, Inc. Staff was professionals and Mr. Jack Harriman was very helpful to us explaining the process and expectations and so on. We're very fortunate that we received a phone call from the office and set up an appt. With Ms. Mel Macklin to meet up at Starbucks near our previous residence. Now we are so proud to call ourselves a homeowners. God bless. Bought a Single Family home in 2018 for approximately $350K in Redlands, CA. My family and I cannot thank Rachel enough for all the time, effort, and patience she had with us. We really pulled her through the ringer and she never let us give up. She was always positive, honest and forth coming. And when we finally closed, her congratulatory card was the first we received! She even took the time out to write each of my children a personalized letter. I’d recommend her to anyone! Rachel is an exceptional Realtor and extremely easy to wprk with, I was a trustee on my grandparents home and even through an emotional situation Rachel helped guied me through the process with great Real Estate advice. I will recommend Rachel to everyone I know! Bought a Single Family home in 2018 for approximately $450K in Fontana, CA. The professionalism and knowledge Rachel brings to the table and deliveries is outstanding. Purchasing a house is the biggest decision and most stressful experience you can go through, but having Rachel by your side changes all that. Purchasing a house is not only stress free but also fun and enjoyable because Rachel is that good, at what she does. She not only helped us get our first dream house but along the way became what I call a good family friend because I trust her that much. Rachel's saying "Your Realtor That Cares" is 100% true, she cares about you, your house, the process in getting a house, your family and your thoughts. The passion and love Rachel has as a realtor, reflects and shows with the amount of hard work Rachel puts in. I HIGHLY recommend Rachel and you will not be let down. Rachel is a life time realtor and friend. Bought a Condo home in 2018 for approximately $625K in Glendora, CA. Her communication from the very start has made this whole process very stress free. She was very clear about our financial responsibilities and all deadlines that needed to be met. She communicated seamlessly between all parties involved. She was quick to answer any contract/taxes/escrow questions thoroughly. Her positive attitude has been a breath of fresh air as I tend to find the negatives. She has truly made this experience fun and rewarding. Bought a Mobile / Manufactured home in 2017 in Rancho Dominguez, Compton, CA. We were trying to buy a house for years but we got told that we didn't qualify. Randy told us we will find a way so you can qualified and they did fund a private loaner and we got our mobilehome in a couple months. We moved in December 2017 and my kids love it its big and they have their own room. Bought a Single Family home in 2018 for approximately $475K in La Puente, CA. Bought a Condo home in 2017 for approximately $250K in Pomona, CA. Rachel's experience and patience were an absolute blessing for me! She was amazing from beginning to end! She knew what it was that I wanted in a home, not only for myself, but for my family. From here on out, I will continue to refer everyone that I know who is looking to purchase a home to her! Thank you again for everything!! Sold a Single Family home in 2017 for approximately $375K in Lancaster, CA. Rachel was super knowledgeable and experience. We love her. She helps us found our dream home in a matter of a day!! She went above and beyond. Thank you Rachel. Bought a Single Family home in 2017 in Ontario, CA. Rachel was great. If you want an agent that will treat the home purchase process as it was her own Rachel should be your agent of choice. She has made the whole process easy and was very helpful at every aspect in the home buying process. My wife and I could now easily consider Rachel a member of our extended family. First time Home Buyers and Rachel was so patient and Amazing with us. Both of us felt really comfortable talking to her about anything. Very hard worker and very professional. Bought a home in 2017 in West Covina, CA 91791. Bought a Single Family home in 2017 for approximately $675K in Covina, CA. I highly recommend Jack for your next real estate transaction. He is a knowledgeable and exemplary broker. He has excellent people skills, and is very patient, tolerant, and empathetic. Jack represented me in the purchase of a home for flipping, and I am pleased with the result. Bought a Condo home in 2017 for approximately $450K in Duarte, CA. We came from France in 2014, pursuing our American dream! We started looking for the "perfect" home in 2016. We met Jack by the end of Year 2016. Jack and his team are very professional and very helpful. 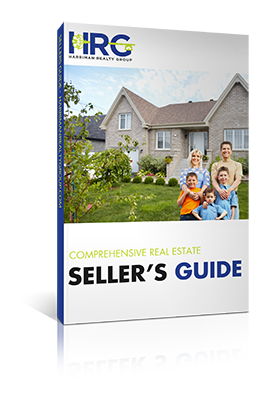 Jack's advise and tips make the hard task of finding the right home much easier. Jack and his team helped us with all administrative paperwork, particularly complicated for a foreign national buyer. Jack and his team were very patient with our endless questions. When we started looking for a house to buy we didn't know anything about the process. Thank you Jack and all the team. Bought and sold a Single Family home in 2017 for approximately $750K in North Central, Pasadena, CA. Jack has represented me in buying two homes and selling one. Each time he has offered extraordinary service. He is a true expert in this area. Jack was calm and understanding during what can be stressful times. All of Jack's team are helpful and informative. Bought a home in 2017 in Pomona, CA 91768. Rachel was the light at the end of my tunnel.. she was very helpful with all my questions and was there when I needed those questions answered.. overall a great person to work with and definitely would recommend to anyone and I would use her again..
Showed home in 2017 in La Cuesta Fontana, Fontana, CA 92336. Rachel helped to make this a very pleasant experience. She fully understood my needs and concerns. All of my calls were returned in a timely manner even on weekends. I could not have asked for a better realtor. My family and i finally found the home of our dreams thanks to Rachel.I will definitely let all my family and friends know who to contact for real estate needs Rachel Bratakos.! Bought a home in 2016 in West Vernon, Vernon, PA. Very easy to work with, Communication is at its finest, always on top of everything. I don't think I've found someone who has as much knowledge as this person, he knows what he's doing. Will do business again! P.S thanks for the pen! Bought a Townhouse home in 2017 for approximately $275K in Route 66, Rancho Cucamonga, CA. Rachel was amazing in helping me purchase my home. As a first time home buyer I didn't know much, but Rachel was there every step of the way to help me and answer any questions I had. She made the process stress-free and fun! She was always one step ahead and had many great ideas to help me stand out among other buyers which helped me get my home! I would recommend Rachel to anyone that is looking to buy a home. She was a pleasure to work with and I am so grateful she found me my dream home! Bought a Single Family home in 2016 in Burbank, CA. My wife and I recently purchased our first home with Rachel. She was a delight to work with. As first-time home buyers, she took what could be a stressful process and made it fun. We were searching for a home in a highly competitive market and at times all we could do was shake our heads and laugh. Through the ups and downs she encouraged us to be steadfast and never give up but to always be looking for the next opportunity. She employed strategies to help our offer stand out amongst the others. She was always on time and available to answer any of our questions or concerns. I'd like to thank her and the entire team at Harriman Realty for helping us to streamline the process and finally get the keys to our first home. Life will never be the same! Bought a Single Family home in 2016 in Lancaster, CA. Rachel is very friendly and on top of the whole house buying and selling experience. She is always upfront and honest. My wife and I trust her with all of what was put into our first home buying process and would look forward to using her down the road. Bought a Multi Family home in 2016 for approximately $750K in South Los Angeles, Los Angeles, CA. We contacted Jack initially in our search for a new multifamily residence in Los Angeles. We had dozens of questions and Jack reassured us with his knowledge and experience. He works tirelessly to ensure a smooth transaction. His team was a pleasure to work with as well. They kept us informed during each step of the process. Even after the transaction, jack's team followed up with us to ensure our satisfaction. Job well done! Bought a home in 2016 in El Sereno, Los Angeles, CA 90032. I had a great experience working with Rachel. She walked me through each step of the home buying process and answered any questions I had in a very thorough and timely manner. She is very knowledgable, trustworthy, and responsive. She was very proactive and did a great job of managing and working with the seller's agent and my mortgage broker. She's very easy to get along with, and I would highly recommend her to any friends interested in purchasing a home in the LA area. Bought a Single Family home in 2016 for approximately $675K in Eagle Rock, Los Angeles, CA. Rachel was great to work with! Made the whole process easy and was always available to us. She helped us purchasing a new home in Eagle Rock. Anytime we needed help, she responded immediately and took care of issues appropriately. Bought a Single Family home in 2016 for approximately $825K in Highland Park, Los Angeles, CA. I dealt with Rachel Bratakos as a first time house buyer. Rachel was amazingly helpful and we got the first house we looked at, the one I really wanted in a very competitive market. She was incredibly diligent. I had a wonderful experience with Rachel. Bought a home in 2016 in Southeast Los Angeles, Los Angeles, CA 90001. Bought a Single Family home in 2016 for approximately $850K in Azusa, CA. Jack was alway very good about returning phone calls. He consistently checked in with us so we knew what was happening at every point of our home purchase. He advocated for us when we needed more understanding from the seller and provided meaningful suggestions to us from first time we met with him. Jack also respected where were at through the emotional process of purchasing a home and knew where to give us more space when we needed it. Jack has a responsive team working for him to make the home buying process efficient and smooth. We are looking forward to having Jack work with our daughter in the upcoming purchase of her home. I would highly recommend Jack to work with any prospective home buyer - whether it is your first home or your last home. Bought a Single Family home in 2016 for approximately $550K in Canoga Park, Canoga Park, CA. I can honestly say that Jack Harriman was on top of things from the very beginning of the purchase until close of escrow. His expertise in the subject, his in-depth knowledge not only coming from him but from his staff, made the purchase of my new home a dream come true. To whoever is looking for a house, don’t bother going anywhere, you need a broker with the experience and knowledge to make it happen, that is my advice to you, Jack and his staff, they have it together and I am prove of that! Bought a Single Family home in 2016 for approximately $175K in Hemet, CA. My wife and I are extremely satisfied with the attentiveness and professionalism of our realtor Rachel Bratakos. She took us to multiple properties and was very responsive to what we wanted. Once we found the house we really liked, Rachel really fought tooth and nail to make this house our home. We would definitely will be going through Rachel again for any other real estate needs. Bought a home in 2016 in Montebello, CA 90640. Extremely happy we are in escrow but the service has been awesome. The first time I spoke to Jack associate Katherine Quesada she was very help full and interested in my needs and interest. Awesome team Rachelle I appreciate ur time with texting??. I had some agents that simply did not call me back ?? Bought a Single Family home in 2016 for approximately $525K in North Hills, North Hills, CA. I can't say enough of what an amazing agent we had. Even the other agent was impressed. Rachel was always available to us. On top of every step. Very personable service. Everything was streamlined with the loan through the company. Fast and very efficient. 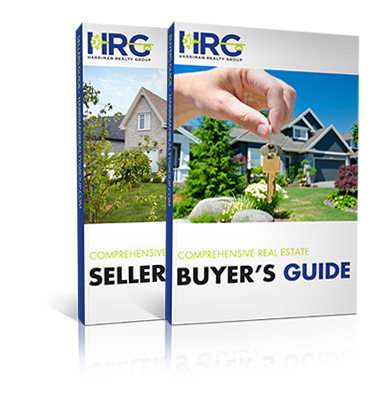 This can very stressful for a first time time home buyer but not with Rachel and The Harriman Group on your side. Highly recommended!!! Bought a Single Family home in 2016 for approximately $350K in Glendora, CA. Jack's and Rachel's team has provided us a superb service in finding and buying a house. This is the first time we bought a house as opposed to renting, and they have made this complicated process much easier. We looked at a lot of houses with them, and they have been very patient with us and provided all the help they can give. After some time, we finally found a house that fits everything we want and need while being in our budget. The process was made to be much simpler and quicker thanks to their hard work and dedication. We would highly recommend them to anyone buying or selling a house given such excellence. Bought a Single Family home in 2016 for approximately $475K in Norwalk, CA. I happened upon Jack Harriman Realty through an online service. The fact is they are outstanding! The professionals' at Harriman Realty not only find the house of your dreams, but hold your hand through the entire process! They even assist with utilities and renovation services or anything else you require for your new home. Must highly recommend to all prospective homebuyers. I love, love our new home! Give them a shot even if you think you are not qualified for a home purchase, I thought I would never be able to buy a home and it happened for me.